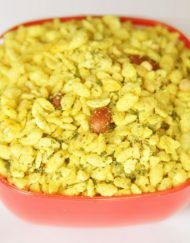 Key ingredients : Maida Flour , moong dal , Dry Fruits , Groundnut oil , Black pepper , Spices etc. No harmful preservatives added , 100% good Quality Dry Fruits and Spices. Available in Net Weight of 1 Kg Pack. Dry Fruit Kachori is a very famous savory snack in India. A Crispy outer layer and spicy tangy filling make it so tasty and delicious that it doesn’t need any accompany with it. These mouth- watering tasty kachoris are made from best quality flour and premium quality dry fruits. Dry Kachori is deep fried crispy and crunchy balls of maida flour stuffed with spicy dry fruits masala. Rich in flavor and mouthwatering taste makes this Dry fruit Kachori a favorite snack with tea /coffee , at parties and for festivities. Enjoy these delectable little delights……. Conveniently pack portion controlled baggie’s to store your car, backpack, and desk with this delicious treat! Kachori’s are the perfect snack for anywhere, anytime. Enjoy this medium spicy dry fruits kachori , We parcel it beautifully and gift to your near and dear ones. It is best tasted when consumed within the 30-50 days . If you order this dry fruit stuffed kachori online now , Ratlami Tadka serve this at your door step between 2-5 days. Quickly order this online now and get your own packet of this munchy and crispy snack . “Dry Fruit Kachori”.